RailTourGuide provides more than just the ticket to your destination. With expert knowledge to tailor your journey, you’ll travel happy. 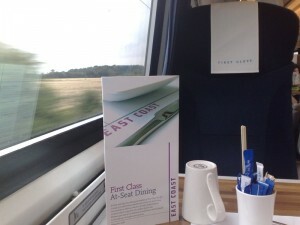 Enjoy the best views of the English countryside, right from the luxury of your own seat. Rail travel in the UK has some of the most spectacular views, coupled with the freedom to travel from city centre to city centre with ease and convenience; rail is truly the best way to travel in the UK. For many business travellers, the journey can sometimes seem to be an inconvenience, dealing with long drives and traffic jams. 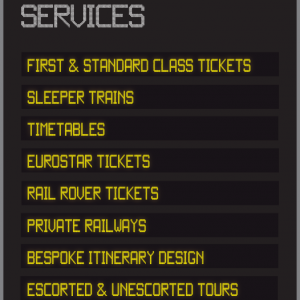 Rail offers fantastic links to major cities with frequent, reliable services, the journey is simple and hassle free. Travelling on luxury trains with ample space, WiFi, power and refreshments; sometimes business feels more personal with a great journey. Knowing exactly what journey suits your requirements involves specialist knowledge and experience. We have an abundance of insider knowledge to offer great value tickets and tailor specific itinerary requests to your trip with ease. With departure terminals in almost every town, you’re never too far away from the beginning of your journey. We’re based in the UK and we don’t have large call centres or premium rate telephone numbers so you receive personal service, every time. RailTourGuide also sell Heathrow Express rail tickets, the route linking Heathrow Airport with Central London with trains every 15 mins.